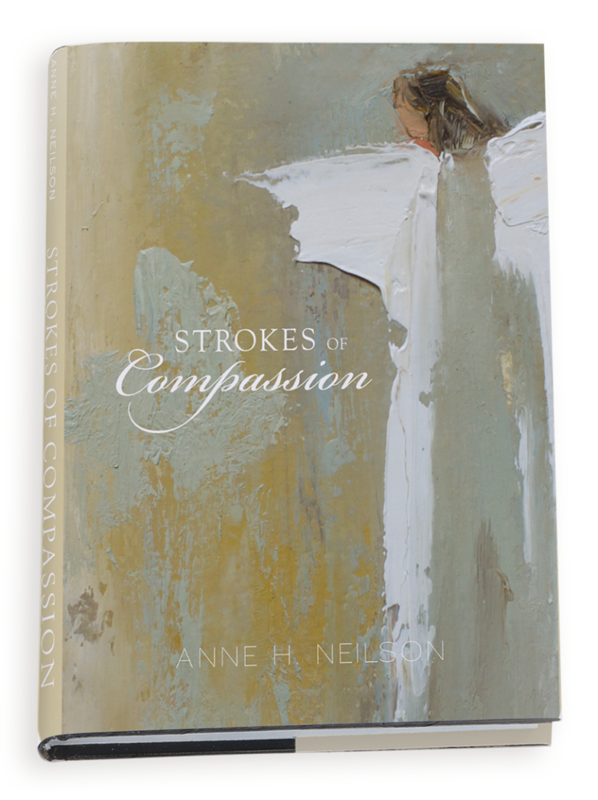 Client Anne Neilson is opening a new gallery in Charlotte in May 2014. Construction has delayed planned opening dates but Anne and Elise Bainbridge, Gallery Director, have been marketing (and selling!) 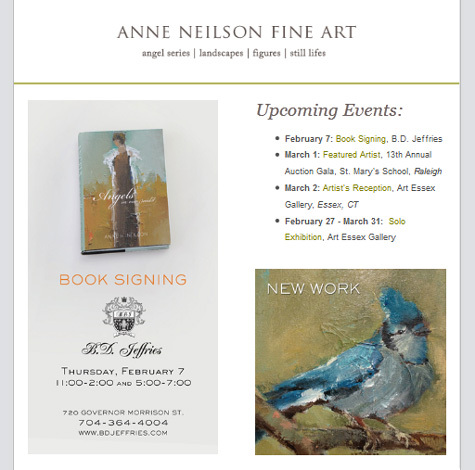 paintings in advance of their grand opening using email marketing and social media. 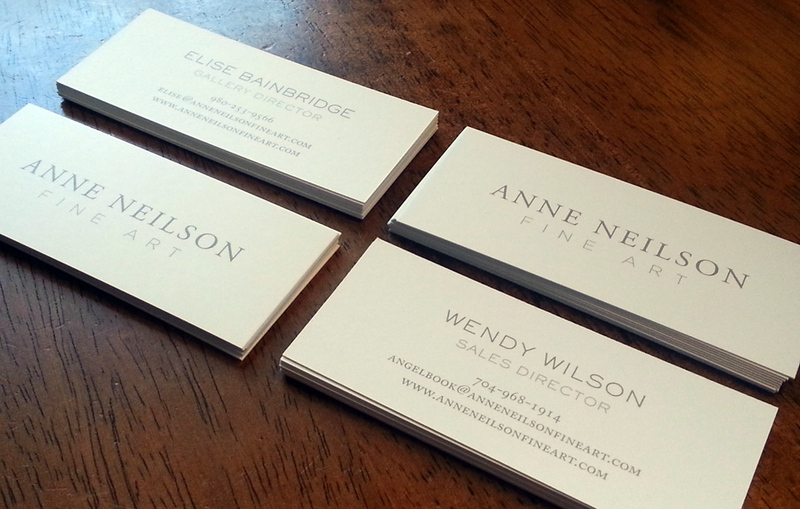 Business cards for Anne Neilson Fine Art, a new gallery opening in Charlotte on February 6, 2014. 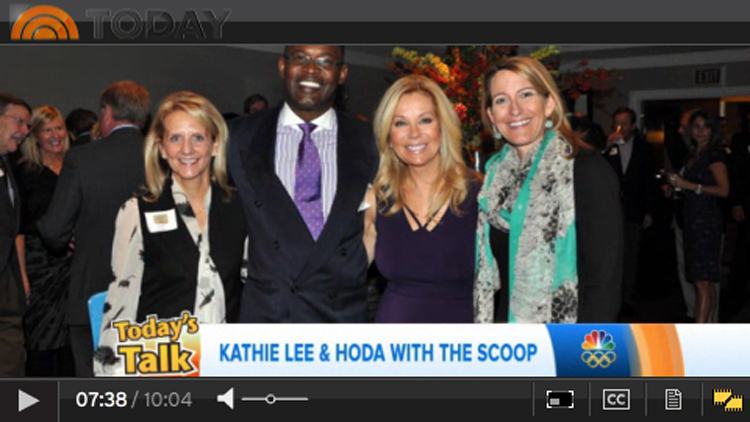 Our keynote speaker for the "Love Thy Neighbor" event last week, Kathie Lee Gifford, talked about her visit to Charlotte on The Today Show on Wednesday. 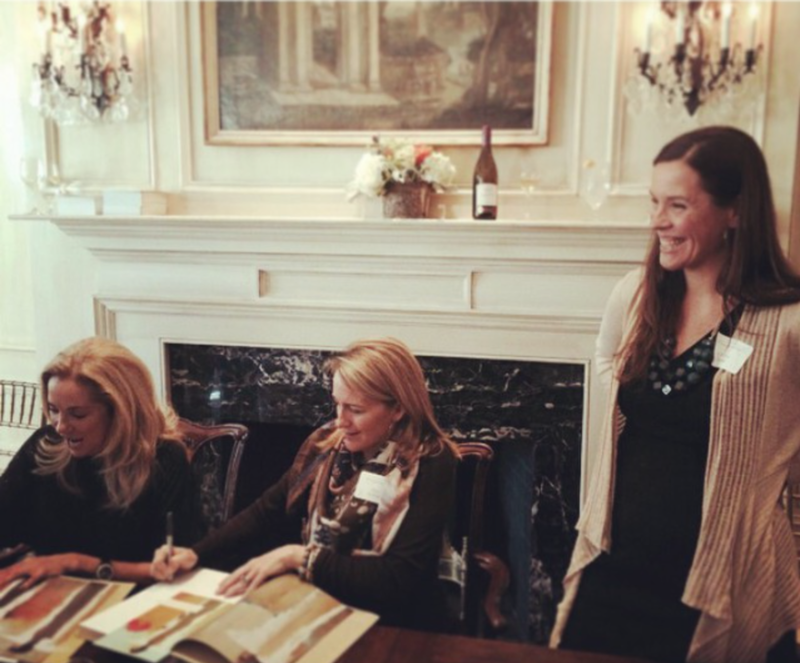 Client and co-chair Anne Neilson became fast friends with Kathie Lee after sending a copy of her book earlier this year, a relationship that made her rare speaking appearance possible. 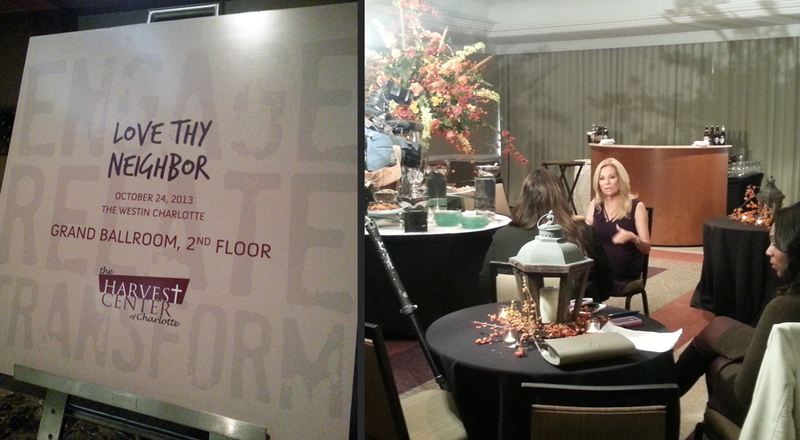 Kathie Lee was delightful and gracious, and clearly enjoyed her time with us as much as we enjoyed having her. 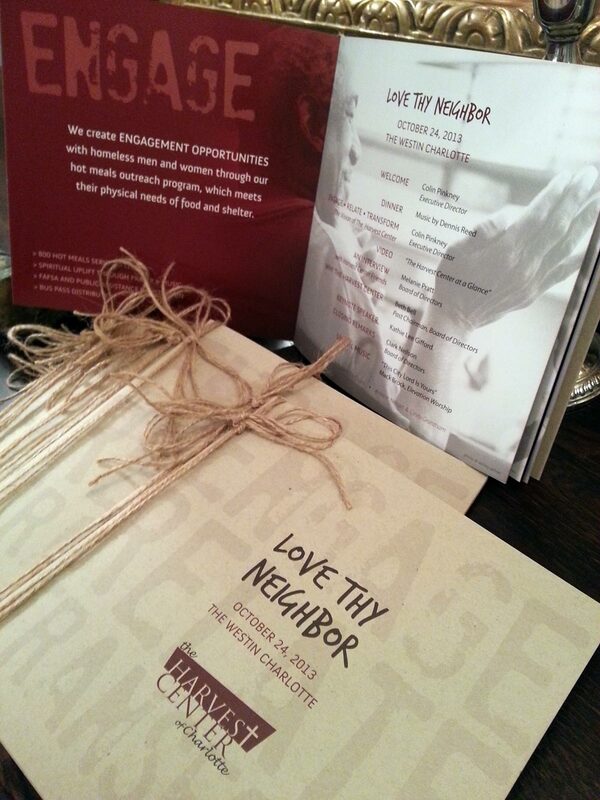 We enjoyed an inspirational evening with The Harvest Center and special guest Kathie Lee Gifford tonight at the Westin, their biggest-ever "Love Thy Neighbor" annual fundraiser. I was honored to help plan this event, to provide design of programs, banners and other visual marketing materials, and to participate as one of 900 guests in this lovely dinner! I look forward to quality photography from the pros, but until then, share a few pre-party captures from this well-executed event. The artists of Dilworth Artisan Station will host a spring Open House on May 3, 2013. This graphic was created for use on a facebook event page, email invitation, and for individual participants' online use. The photo used is by the very talented Jeff Cravotta, who is a resident of DAS and a participant in the Open House.